Welcome to Day 34 of my #100DaysofBulletJournalIdeas Project! Idea 34: When Did I Last? When Did I Last ___? This is a simple log to keep track of the last time you updated something. This method can be helpful for particular things, it's especially useful for the things that are updated on a less frequent basis. 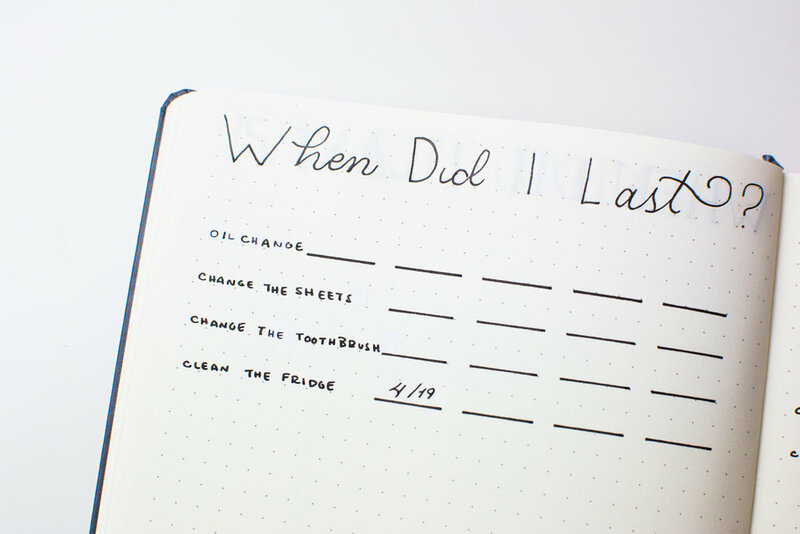 This method has lines to write down the date of the last time you did something. This can help you keep this log usable for the lifetime of your Bullet Journal. The drawback is that you won't be able to see much history before it, but if that's not too important to you then it's a no-brainer!